Most parents can’t figure out how to use emojis in a socially acceptable way, let alone connect their lights with their thermostat. Smart home technology might seem like it’s way too difficult for parents, but there are several easy smart home gifts for dad (and mom, of course). These gifts are perfect for anyone because they are easy to set up, even easier to use, and make life better everyday of the year. In other words, these gifts are way better than boring old socks. The original Amazon Echo was last year’s hot holiday gift, and this year’s will be the Echo Dot. Smaller, cheaper, and better, the Echo Dot can do everything Amazon Echo can do, and more (since it connects with Bluetooth devices). Buying an Echo Dot is one of the best smart home gifts for dad that you can get. No matter their age or understanding of technology, everyone loves asking Alexa questions, listening to music, building a shopping list, and of course connecting other devices around the home. 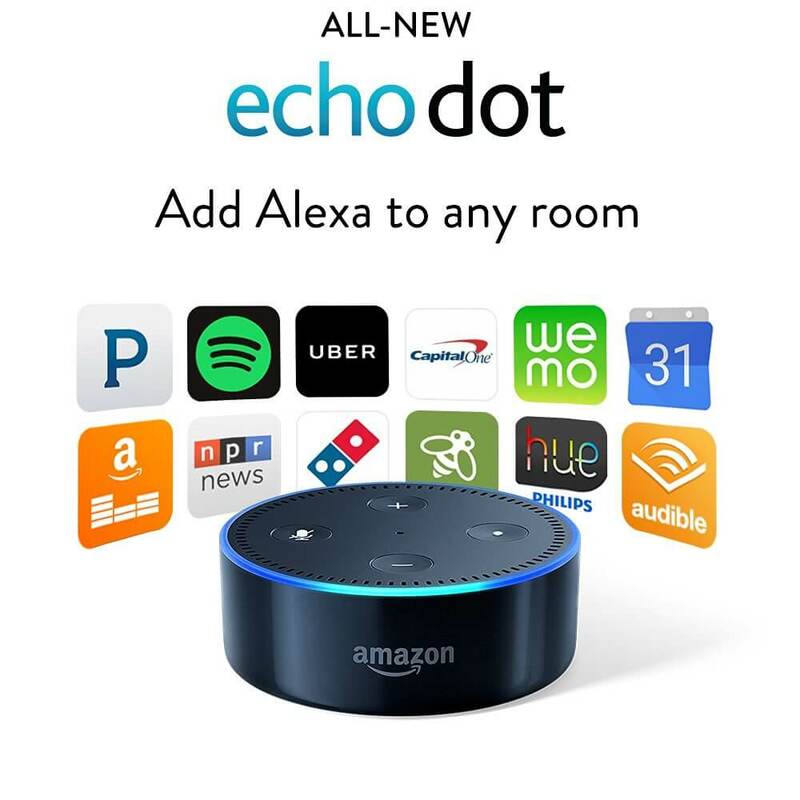 So when you look for smart home gifts for dad or mom, start with the Echo Dot, then add in one or two complimentary devices to show them how functional it is. 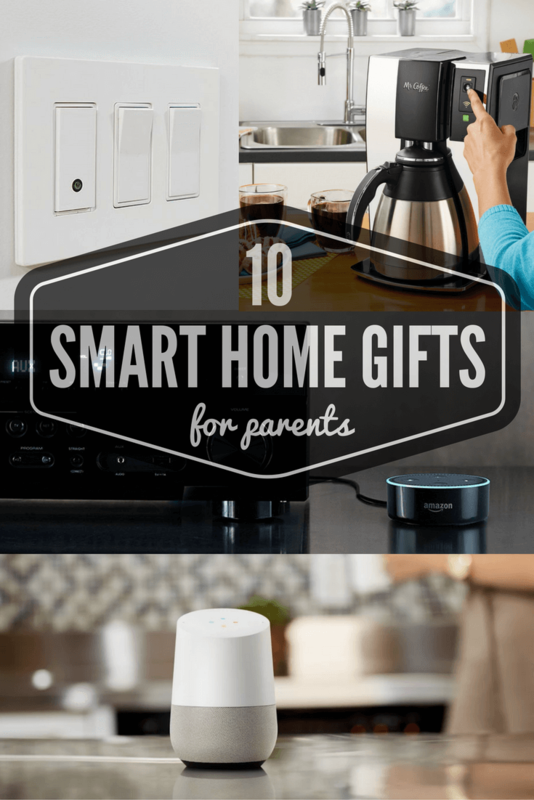 Most of the devices listed below work with Echo and are an excellent place to start for simple smart home gifts. Echo Dot’s biggest competitor is the new Google Home. If you think your parent will use a smart assistant for more Q & A instead of connecting with smart devices, Google Home could be a great alternative. Since Google is the king of search, Google Home is great at finding answers from Wikipedia or Google’s search widgets. You can also pair the gift with a super-cheap Chromecast or Chromecast Ultra, which make it easy to seamlessly cast videos from YouTube to the television. If your parents are like mine, just say, “OK Google, play CCR music videos on the TV” and the gift will instantly make you their favorite child. 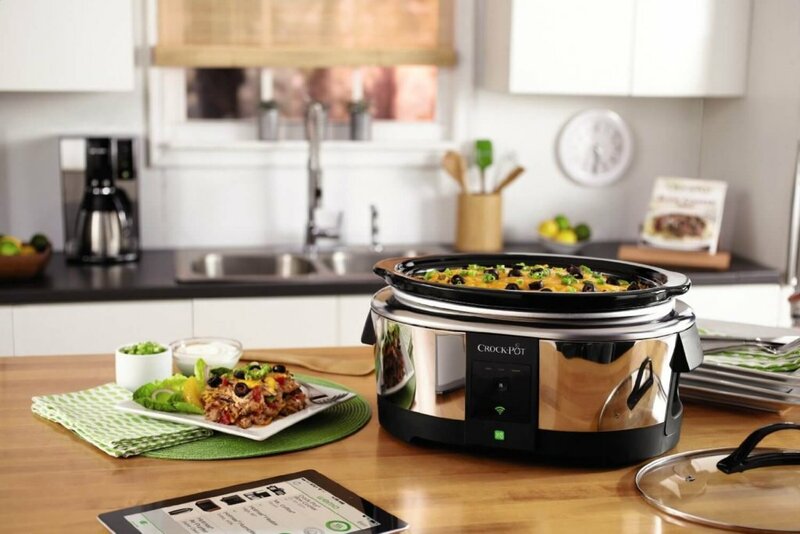 Crock-Pots are pretty low maintenance, but this smart Crock-Pot by WeMo takes cooking to an entirely new low-stress level. The smart phone app shows you exactly how much cooking time is left and lets you change the temperature or cooking settings remotely. For many people, if they start a Crock-Pot before work, everything is overcooked by the time they finally arrive home. This device solves that issue by allowing users to start and alter the Crock-Pot remotely. Cooking has never been easier! Using the Drop kitchen scale, you can follow step-by-step instructions for measuring and adding ingredients to your recipe. It’s compatible with Amazon Echo, so you can ask Alexa to weigh your ingredients. It may seem like a small thing, but when your hands are covered in flour or raw chicken, working hands-free can make all the difference. 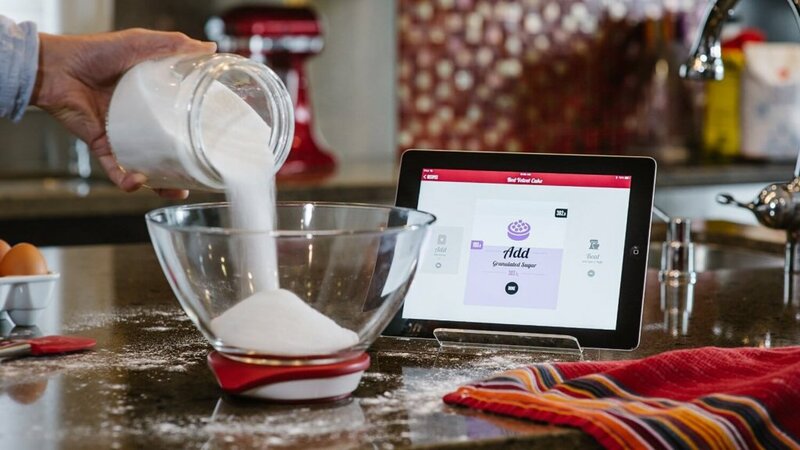 This is an excellent gift because not only are you giving a tool that makes cooking easier, you are also giving recipe ideas that are included in the app. How does waking up to hot coffee everyday sound? 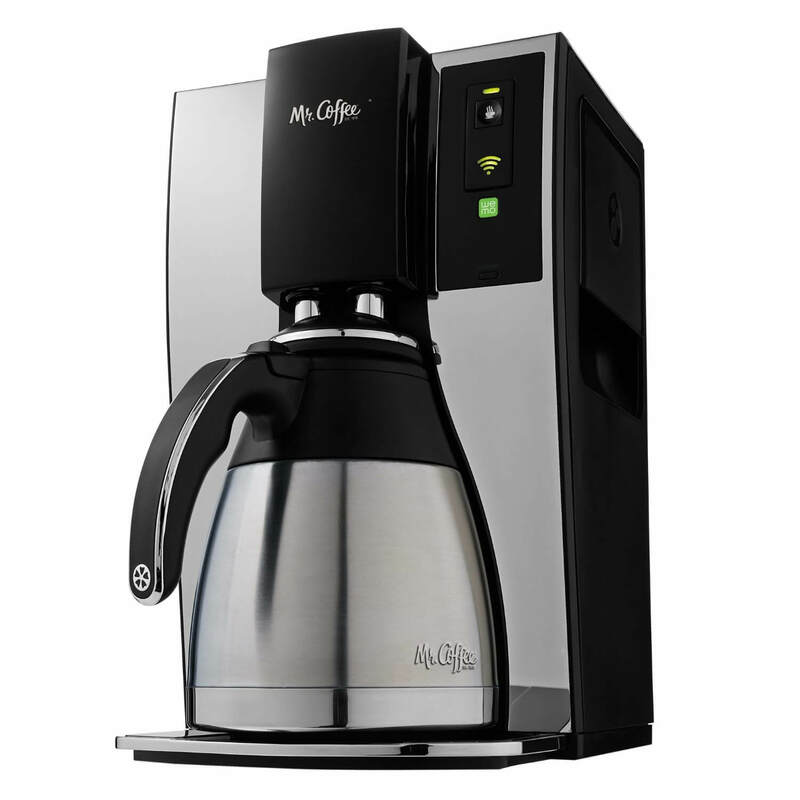 With the Mr. Coffee, it’s not only possible, it’s easy. Set timers or brew coffee remotely using the iPhone app so you can have a hot cup of coffee when you arrive home from work. It can also send you push notifications for when you need to empty the carafe before the next scheduled brew. Since it works within the WeMo brand, you can also control your Mr. Coffee in the same app as your WeMo Crock-Pot or smart outlets. Canary has plenty of unique features that make it more than just a security camera. It includes a loud siren for scaring off intruders and can also monitor air quality for gases and toxicity. Plus, it offers two-way talk. If you are pretty close with your parents, you could use the app on your phone and check in on them quickly (without getting roped into an hour-long conversation). Its free plan stores up to 24 hours of footage, which is more than enough for some, but those needing more storage can upgrade to a monthly plan. 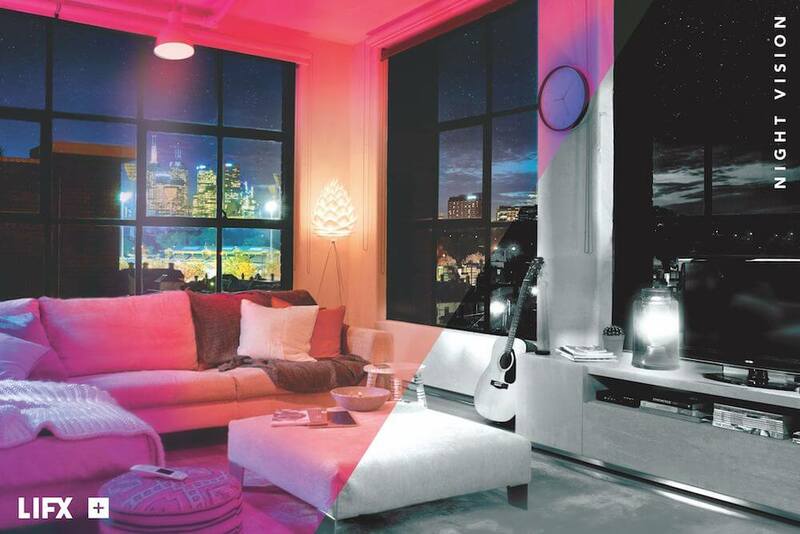 Here’s a nifty new product: The LIFX + bulbs, which let off invisible infrared light. This is the type of light that security cameras let off at night, but their limited scope means that the cameras can only see so far. By replacing a traditional light bulb with a LIFX +, it could make a big difference in identifying a burglar. The best part is, it’s as easy as unscrewing your current bulb, screwing in the new LIFX, and downloading the app. To see the difference LIFX + can make for increasing security, check out some examples in our recent blog post. LIFX bulbs are the brightest available, with brilliant, multi-colors that you can schedule or create fun effects with. Multicolored light strips don’t have to be just for dance parties. You can control LIFX Z light strips from your smart phone to match any color of the rainbow – you can even make different sections of the strip shine as different colors. Installing the light strip is super easy. Just plug in the light strips, set them on a timer, and you don’t have to worry about them again. LIFX Z is perfect for underneath countertops, behind the TV, or in the eaves of the ceiling. 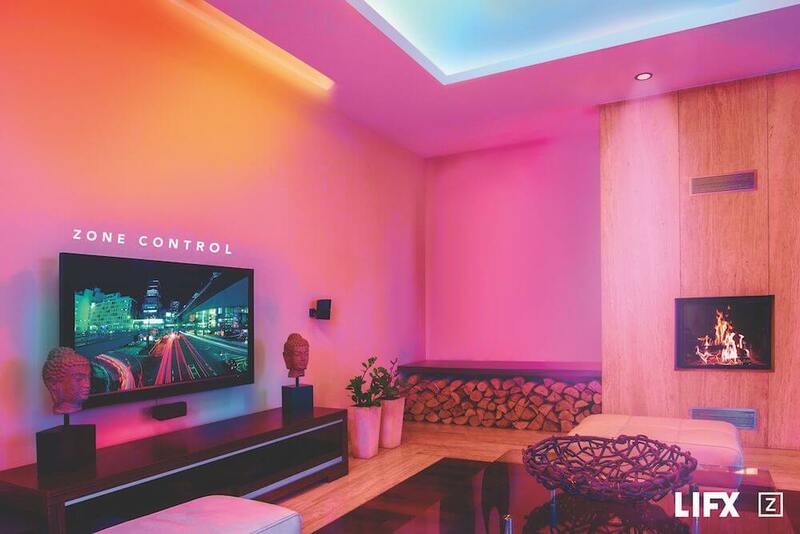 Any home could use colorful light strips. The main reason we recommend LIFX + and LIFX Z as great smart home gifts for dad is their high compatibility with products like Amazon Echo and IFTTT, without requiring a hub. For parents who want to try out smart home tech without committing to the high cost of a hub, LIFX is ideal. If your parents are the kind that might resist new technology, the WeMo is a great way to ease them in. 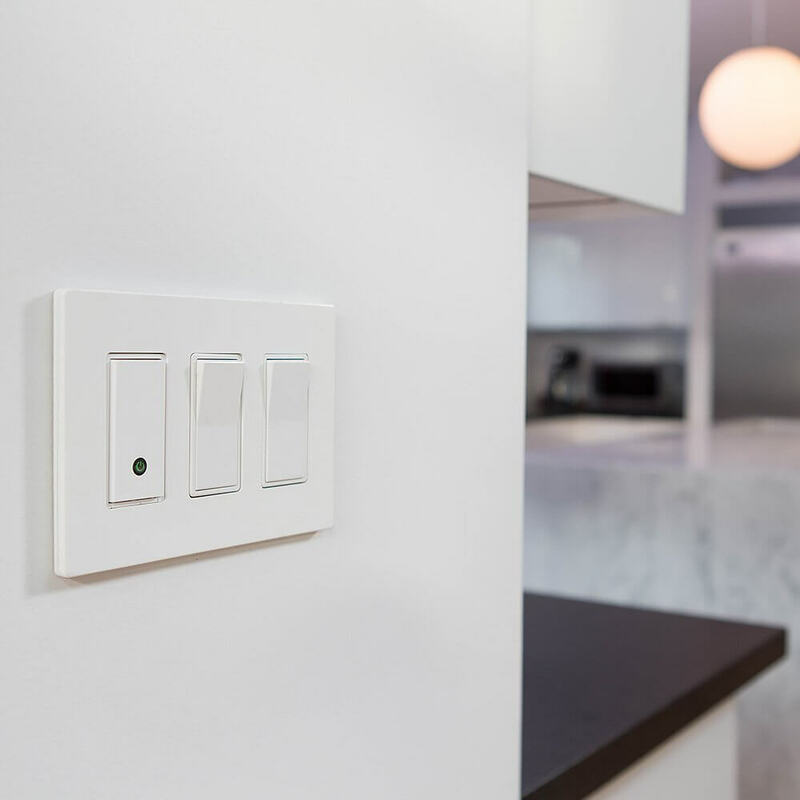 Instead of pulling out their phone every time they want to turn on the light, they can use this traditional-looking light switch to control lights or fans. From there, it’s easy to use the app to integrate daily schedules or randomize the lights when you go on vacation. You can also use IFTTT rules to have the lights turn on automatically at dusk and stay on until bedtime. Sync the device with your Nest thermostat to have the fan automatically turn on if the temperature reaches a certain point. The WeMo Insight Switch is an excellent smart home gift for anyone because of its low price and high versatility. Plug in any small appliance and WeMo magically makes it smart. 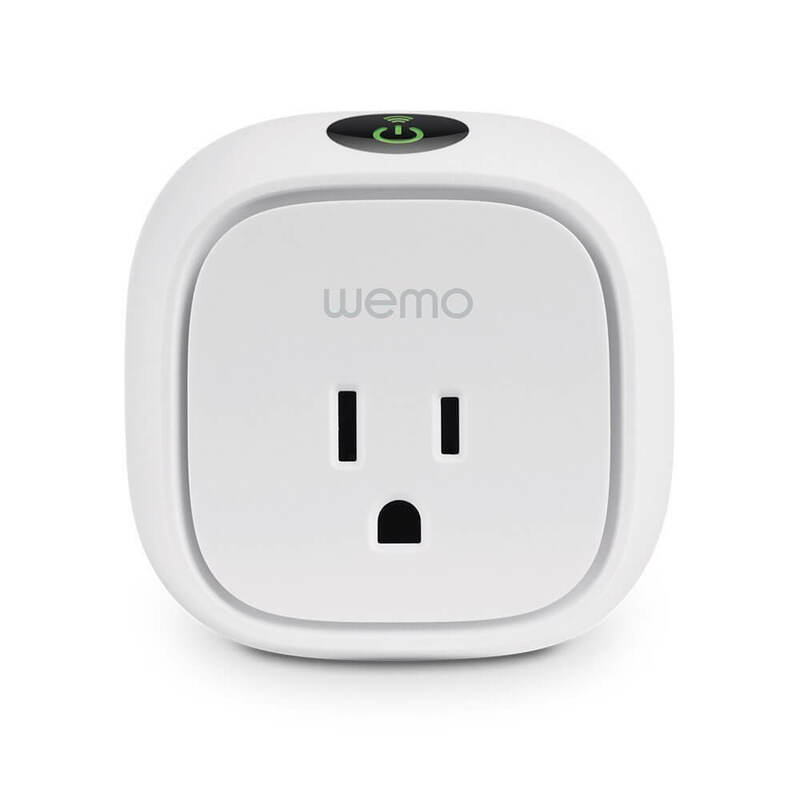 Fans, coffeemakers, lamps, and other devices can be scheduled and remotely controlled with WeMo. The smart switch also provides insight into how much energy your device draws and what that means for your monthly bill. If you’re not sure what smart devices your parents want, buy the WeMo Insight so that they can make anything smart. P.S. It works with Amazon Echo. It’s no secret that parents are difficult to shop for. Smart home technology is new and exciting, which can make it a great gift for difficult people on your gift list. What are your favorite smart home gifts for dad and mom?